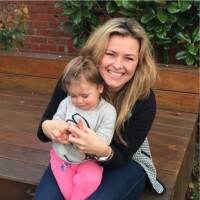 If you have a run-of-the-mill baby gym then you might have a bit of baby gym envy right now – like I do! This is such a stylish little number and the best thing is you can hang whatever you want from it. 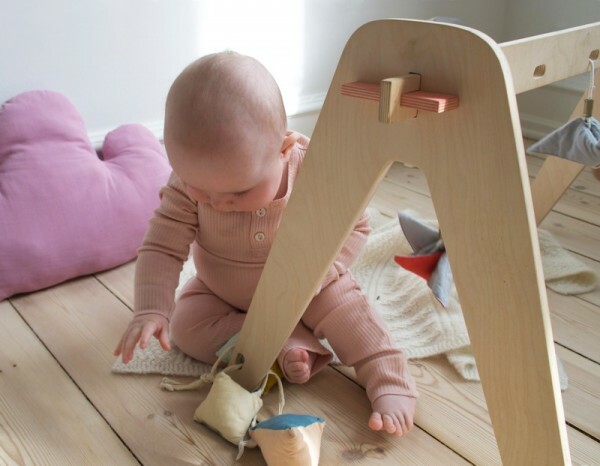 The 1st Play handmade wooden baby gym from Danish company Lou Lou is made with birch-veneer plywood and is beautifully finished with eco-certified paints and beeswax. Plus, it’s super easy to assemble, which gets me over the line every time. The gym itself doesn’t come with any hanging toys but the natural wood appearance of the gym will look good with just about anything, so you can swap and change it up, giving your nursery a whole new look each time. 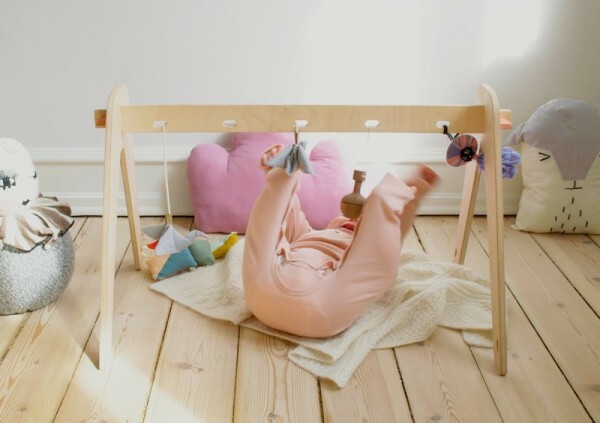 You can buy this versatile wooden baby gym at Little Goldie, for £65. If you also want to get your hands on the cute hanging toys pictured above, they are Noodoll fruit toys, also available from Little Goldie. If you like this baby gym, you should also check out these two beautiful wooden baby gyms from Etsy and Bella Buttercup.